We are in constant contact with young job seekers, which makes an excellent reference for entrepreneurs on the lookout for new employees. Through our job offer bulletin boards and personalized service, we can connect entrepreneurs with young job seekers. We can help young people identify the skills, the means, and the interests, related to available positions in your companies. We inform them of the avenues to take and the training needed to qualify for these positions. 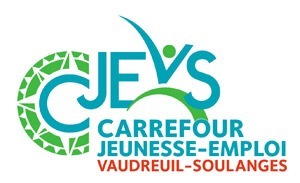 We offer visibility by organizing business / company visits; allowing you to meet with young people directly at the Carrefour; acknowledging your company’s good practices related to work / studies balance. We can also be there with you, facilitating the integration of your new employees. We can assist in the recruitment personnel tailored to your industry by distributing job opportunity information within your company; posting your job offers on our various bulletin boards, our website and via our social networks; by allowing you to conduct your job interviews directly from our premises. Do you want to facilitate the integration and retention of your employees? Our services also include support for the integration of young employees. Business / company tours / visits, job search, internships, job integration planning, and work-family-studies balance tools are all winning elements towards job satisfaction and retention. Would you like to build an applicant database? Upon request, we can organize company tours and job fairs, increasing your visibility to our youth, and allowing you to showcase your company’s culture and benefits. Get the tools you need to support your student employees with their educational success. Open the doors to your business and promote career opportunities to young people who are questioning their professional choices.